Whether you are a first time buyer or need to sell the goal is the same, to provide you with stellar + focused service. I am backed with nearly 14 years experience and a 5 star team of mortgage, home inspection + legal experts to guide you through the home buying and selling process successfully to closing. Curious about your home's worth? I am happy to provide a free & detailed Competitive Market/Pricing Analysis + an in-home staging consultation to show you how to get ready for the market. "Moving is definitely a pain and a lot of work. Especially for already busy people with kids and jobs and everyday craziness going on. There's really only one reason we were able to make it happen. 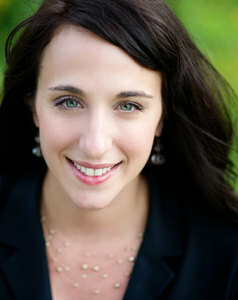 We worked with the most fabulous Real Estate Broker, Lisa Rudisel. She was incredible from the start of the selling process to closing our sale and new place. We could not have done it without her.She did absolutely everything to make the process as painless as possible for us. She helped us stage our place to sell. She made really amazing recos on work to do before listing and what we didn't need to worry about. Then...she sold our place in one day pre-market. It was an absolute dream! It was quick + without a million showings and for a price we were thrilled with. She stuck with us as we bought a place we absolutely love + still can't believe we actually moved into!If you're thinking about buying or selling in Chicago....think about talking with Lisa. She's a ton of fun to work with. Scrappy, hard working and gets it done! Ryan and I couldn't recommend her enough. Happy to talk with you more about our experience.Thank you, Lisa, for making it happen! Ryan & Nicole A."